We held the meeting in Liverpool because of the anger and outrage being expressed about the media’s behaviour. The Sun, Mirror, Daily Star and Today were all invited. The Mirror and Today declined; the others didn’t reply. The sheer scale of 96 deaths in the Hillsborough disaster on Saturday April 15 had attracted massive press and broadcasting coverage; journalists flocked to both Sheffield and Liverpool. The disaster, unlike many others, was comprehensively recorded live and by the sports photographers there for the match. The result was that several of the Monday papers published close-up photos of Liverpool supporters either trapped, injured or dead behind the wire, graphically showing their terror and torture. The Sun cleared page after page for different pictures of people crushed or lying on the pitch with the tacky logo “Gates of Hell.” The official death list had not been published so they had no way of knowing whether the individuals pictured were alive or dead. Robert Maxwell’s Mirror had recently moved to colour printing and carried 16 pages on the story, filling the front page with a grisly picture of fans who appeared dead or dying, jumbled together on top of each other, and showing how their faces had turned blue as they were asphyxiated. I intended to buy all the newspapers that Monday to monitor coverage, but I was so appalled by the Mirror that I couldn’t buy it.For the general public these pictures triggered revulsion; the Press Council was flooded with complaints and set up an inquiry. Newspapers too were deluged with angry callers and letters. For Liverpool’s bereaved families, however, the pain and anguish of such exposure was indescribable. The next wave of horror for Liverpool was the invasion of hacks charged with the grisly task of getting pictures of the dead and tear-jerking stories from their parents, relatives and friends. This media assault continued on Wednesday April 19 when the notorious “The Truth” Sun front page appeared. The Sun was the worst, but the same allegations were repeated in other national and regional papers. Then, to add to it all, the media intruded into private grief at victims’ funerals. The speakers at the CPBF Bluecoat meeting were Eamon McCabe, picture editor of the Guardian (substituting for Michael White), Steve Kelly, a former Granada producer and author of the official history of Liverpool FC, and Rogan Taylor of the Football Supporters Association. It was a packed, emotionally charged meeting of over 150 people who were struggling to cope with lies and the gross media intrusions. McCabe slated the cruel and insensitive use of close-up pictures in many of the tabloids, and Rogan Taylor attacked the way the coverage of the disaster fitted into a narrative demonising football fans, and particularly Liverpool supporters. From the audience, Brian Brierley had facts and figures relating to Hillsborough and the Sun and argued for a boycott of the paper. But the key issue highlighted was how powerless people felt to challenge the lies being printed about Liverpool supporters and prevent the gross intrusion into people’s grief. The tabloids seemed to be able to act with impunity in the absence of effective press regulation. Less than a week after the disaster, on April 21, home office minister Tim Renton announced the Calcutt inquiry into press standards.The announcement was designed to undermine the CPBF Right of Reply Bill, which was talked out at its third stage on the same day in the Commons. During the Calcutt inquiry another home office minister, David Mellor, attacked the tabloids for publishing the close-up pictures of the dead and dying. In a phrase that would come back to bite him, Mellor also said on the excellent Channel 4 Hard News programme in December 1989: “I do believe the press — the popular press — is drinking in the Last Chance Saloon. 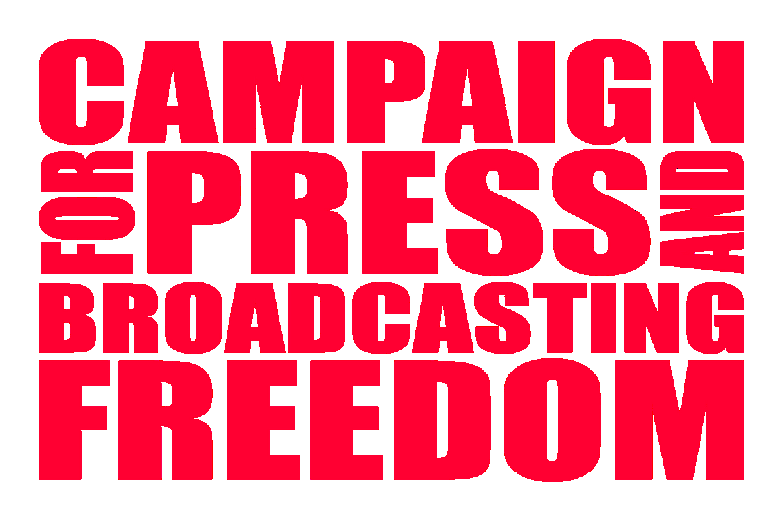 ”The Calcutt Report, published in June 1990, recommended the abolition of the “ineffective” Press Council. Instead it recommended a new independent complaints body, the Press Complaints Commission (PCC). But there was a strong warning issued: if self-regulation didn’t do its job, an alternative statutory body would replace it. In July 1992, Mellor, now national heritage minister, asked Sir David Calcutt to conduct a second review of press self-regulation. Calcutt’s second report, published in January 1993, reached brutal conclusions about the PCC: “A body set up by the industry, financed by the industry, dominated by the industry, and operating a code of conduct devised by the industry and which is over-favourable to the industry.” He recommended the establishment of a statutory Press Complaints Tribunal. Unlike with current Culture Minister John Whittingdale, there was no discretion in the story the tabloids published on David Mellor a week after the second Calcutt report. The People revealed he was having an affair with an actress, Antonia de Sancha, and Mellor was soon out of a job. Coincidence or what? The PCC survived Calcutt’s devastating assessment, and continued until it too went down in flames in the aftermath of the 2013 Leveson report. The PCC, which incidentally had investigated and dismissed phone-hacking allegations, closed in 2014. Ignoring the proposals for press regulation put forward by Leveson, the newspaper industry replaced it with the Independent Press Standards Organisation (IPSO) which is a PCC clone. The incredibly brave and determined Hillsborough families finally secured justice after a staggering 26-year battle. But there is still unfinished business. A second Leveson is urgently needed in the light of the Orgreave and Hillsborough revelations about South Yorkshire Police. We need an inquiry looking forensically at police and press relations. And we still need to sort out press regulation so that we have independent, trusted and effective system rather than the flawed IPSO the newspaper proprietors want to fob us off with.These issues, raised at that Liverpool meeting 26 years ago, still need resolving. This article first appeared in the Morning Star on 11 May. Comments will be subject to approval and should not be defamatory, obscene, racist, in breach of copyright, or contrary to law. The CPBF is not reponsible for any views expressed here. CPBF is a non-profit making organisation financed entirely by membership, grant and voluntary contributions. If this site has inadvertently breached any third party copyright, please contact us and we shall rectify the mistake.